Perfect Gift For Your Perfect Valentine! 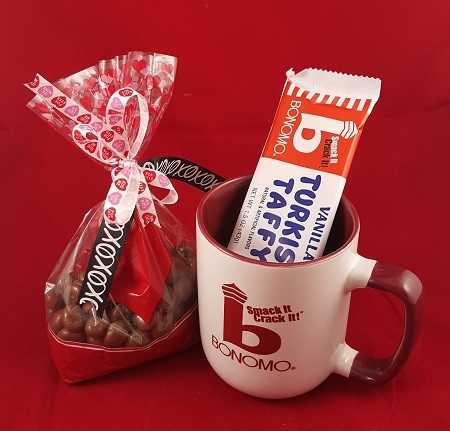 Bonomo Turkish Taffy presents a generous 16oz Bonomo Ceramic Coffee Mug! This wonderful dishwasher safe coffee mug is branded with vintage b Bonomo and Turkish Taffy Logos and has a wram maroon inside and matching handle. 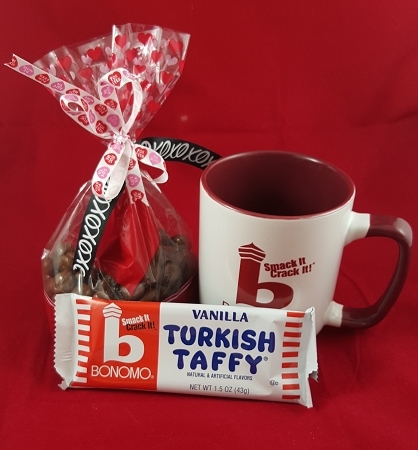 The Bonomo mug comes with a generous 9oz of Bonomo Vanilla Taffy Nibbles plus a Bonomo Turkish Taffy bar is included in the mug. 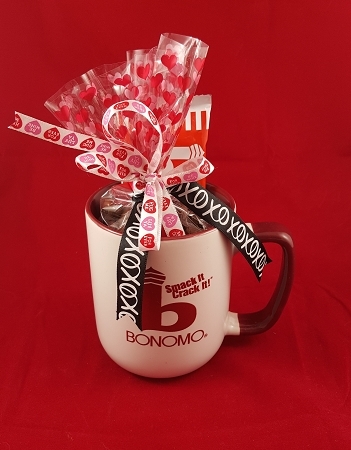 Choose your favorite flavor of Bonomo for the single bar Once the best candy ever made is eaten you will have a quality mug for coffee, tea, drinks, soup or cereal. Valentines Day Gift Mug Includes FREE SHIPPING!